For the past five years, Lewis Meyer has taught Deswik software at the Camborne School of Mines at the University of Exeter. As Senior Lecturer in Mining Engineering, 257 students have graduated from Lewis’s Deswik course which consistently receives rave reviews from students. 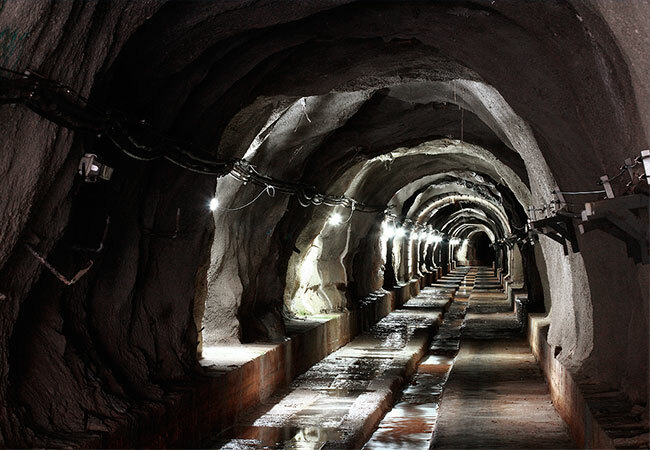 This article, recently published in Global Mining Review, describes the modeling techniques tried and tested at an Australian mine. The mine needed a solution to produce a 3D visual landform which, while reducing costs, could also achieve desired rehabilitation objectives. The latest upgrade of Deswik is set to change how engineers plan their mine while considering haulage constraints and landform development. We are pleased to invite our customers and partners from throughout Zambia and the Democratic Republic of Congo to see first-hand the value Deswik’s applications offer the Copperbelt region. Triangle Slope Markers provide a simple, graphical tool to quickly demonstrate the behavior of surfaces and solids based on the user requirements. We’re pleased to welcome drill and blast technology manufacturer Minnovare as an integration partner, as part of our commitment to providing a flexible and integrated mine planning platform. With the prevalence of UAVs within the mining industry, operations now have at their disposal unprecedented amounts of data to use. Turning this data into usable and valuable information is the key to providing value. Two experts on technology and change management will be heading the lineup for the Deswik User Conference 2018. The upcoming Life-of-Mine Conference has proven to be the perfect partnership for Deswik, who are proud to be a gold sponsor of the event being held in Brisbane on July 25 to 27. This article looks at the impact of scheduling site trucks filled with dry tonnes from the block model rather than wet tonnes required by the trucking simulation. Is the industry standard practice of modelling trucking using the ramp centre-line, versus using the actual truck path an issue or not? This article has been written specifically for those who are new to pit design and may need some advice on how to undertake a pit design. It can be tough being a newcomer in an established industry but, after ten years in business, we have proved our staying power. Deswik continues to bridge the gap between geology and mine planning. A new collaboration with Imago will extend the capability of Deswik’s operational geology platform. 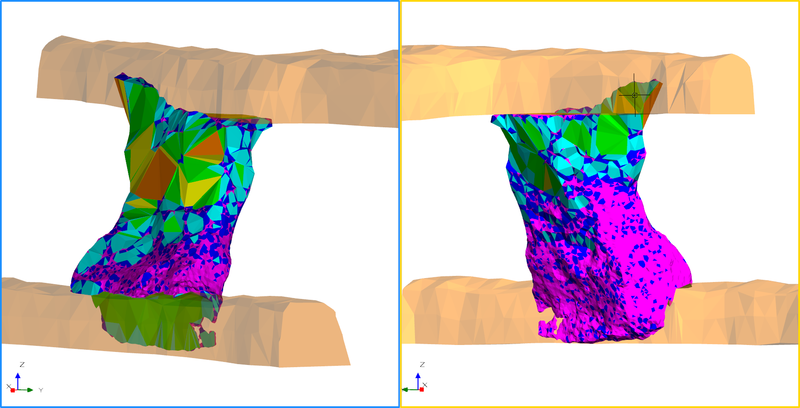 Earlier this year, we released our short-range ore control modeling & design tool, Deswik.OPSTS to allow open pit mine planners to quickly produce short-term production plans from a single pit shell solid. In 2017 there have been over 50 enhancements added to the roadmap and at present over 60% of them have been added into the CAD platform. Deswik is pleased to support the RCL Accelerator program which provides funding, mentoring and support to start-ups in Brisbane, Australia. Integrating landform engineering and closure cost calculations into your tactical mine planning delivers a more complete, overall view of the value of a project. Our joint work with University Adolfo Ibáñez in Chile was recently recognized through the awarding of the Chilean National Prize of Technologic Transfer. A technology preview of Deswik.LHS Underground is now available. Create your underground haulage network from your 3D mine model, and directly integrated with your schedule. Deswik is pleased to take part in the Austmine Women in STEM: METS Career Pathway Program, aiming to support and promote women in STEM while improving gender diversity in the METS sector. Deswik will be at the Australian Institute of Mine Surveyors conference next month to showcase Deswik.CAD’s survey capability and upcoming enhancements. While there’s some basic underlying hardware requirements for Deswik.Suite to perform well, the hardware spec required for PCs / laptops can vary depending on your use case and data sizes. Deswik is pleased to announce the release of Deswik.Suite 2017.1, a major release featuring 254 enhancements and two new modules. This partnership will enable operations to increase production & shift efficiency by combining short interval control planning & scheduling from Deswik with real time production data from Newtrax. What are the plotting elements and how do they fit together? In this two-part video series, we take you through an overview of our key plotting functions with tips on how to best set them up to minimize data replication. 9th – 11th May 2017. We invite our users and partners to join us in Skellefteå, Sweden for an informative two-day event on the latest industry trends and Deswik software advances. Everything you wanted to know about Pseudoflow but were afraid to ask… A discussion of Deswik Pseudoflow pit optimization in comparison to Whittle LG pit optimization. Deswik announces the launch of Deswik.OPS, their new operational shift planning and tracking tool, which is set to revolutionize the way mines manage their daily operations. Nova Project have been using Deswik.CAD’s reconciliation tool for their End-of-Month process. This has resulted in a higher quality report for the contractor on site and significant time savings. Deswik announces the inclusion of new mobile 3D scanning tools in its upcoming software release, version 2016.2. We’re pleased to announce that Wayne Romer has been selected as a national finalist in the 2016 EY Entrepreneur of The Year awards. Three months on since the release of Deswik.Suite 2016.1, we continue to explore some of the 2016.1 enhancements, with a selection of our team’s favorite new tools. We often get asked about running Deswik.Suite on virtualized platforms (VDI). 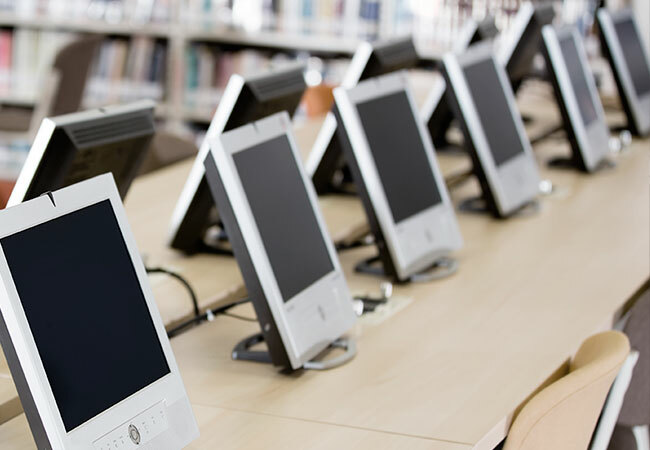 Whilst technically challenging, it is still possible to run it effectively on a VDI platform under very specific conditions. In a compelling article recently published in World Coal, Neil Tyson details ways to improve dragline engineering and in turn improve planning cycle time and mitigate complex risks. Deswik.Sched has come a long way from version 1.2 where resource leveling could only be done on task priorities. There’s now three major leveling algorithms which support a myriad of features. Deswik is pleased to announce the release of Deswik.Suite 2016.1, a major release featuring 141 enhancements and two exciting new products. Graphics are now supported in the scheduler. The task graphics can be saved in the scheduler file and Deswik.Sched can be used stand-alone with animations. In conjunction with MiningWorld Russia 2016, Deswik will run a half-day seminar on “Solutions for effective mine planning“ on 27th April. With Deswik’s assistance, Anglo American’s Dawson mine managed to achieve significant haulage and engineering productivity improvements, directly reducing their cost per tonne of coal. In Deswik.Suite 2016.1, users will be able to export a network of tunnels directly from Deswik.CAD to a native Ventsim file. Things have been busy for Deswik South America since the opening of our Santiago office (Chile). This month we continue to spread the word at key mining events in the region. Process maps have become a very important part of Deswik’s implementation strategy. They provide an easy, non-scripted solution to building streamlining repetitive tasks. This article explains the development methodology and release process for Deswik.Suite – and in particular why we release new versions and patches so frequently. Minimizing risk of acid mine drainage: discover the techniques for integration of production and destination scheduling for planning engineered waste rock dumps and tailings management. Deswik has been announced as an ABA100 Winner for Product Innovation and Product Excellence in the Australian Business Awards 2015. Deswik launches Deswik.DD, a sectional design & analysis tool for design, optimisation and communication for dragline or dozer push operations. We are pleased to announce our expansion into the civil tunnelling market with our new strategic partner Skarpa Pty Ltd. In this short video, Deswik Technical Director Wayne Romer shows you how to create and adjust your pit design using expansion layers, bench ramps and switchbacks. Dynamic block model Interpolation with Deswik.CAD is quick and easy. In this video, we show you how to update a block model from blast hole data. The Scheduling Team continually works to improve the speed and performance of resource leveling. This quarter, we take a retrospective look at one of our clients’ schedule since it first arrived at Deswik in March 2012. DESWIK announces a technology partnership with ARANZ Geo Limited, developers of Leapfrog 3D geological modeling software. Deswik Chile will once again have a booth in the Austrade pavilion at EXPONOR in Antofagasta between the 11th and 15th May 2015. The much anticipated Advanced Deswik.Sched module has also been published and has received positive feedback from numerous recipients. Deswik.Suite V5.0 contains some exciting new pivot table reporting functionality (found using the Deswik.LHS Reporting command, and called Pivot Table). A study has been completed producing a mining schedule in conjunction with a dumping schedule and haulage analysis. Version 5.0 of the Deswik software suite is now available, featuring some exciting new functions and improvements. Our software team has been busy this year continuously delivering improved solutions. Deswik will be participating in the 2015 SME Annual Conference and Expo in Denver, Colorado from 15th to 18th of February 2015. The UQEM plays an irreplaceable role in the Australian mining industry by bridging the gap between theory and practice at UQ. It is currently under review for closure. We use this feature quite a bit here at Deswik. It still surprises me how many people don’t know about the DCF file format. VDCL is the original Deswik.CAD file format. 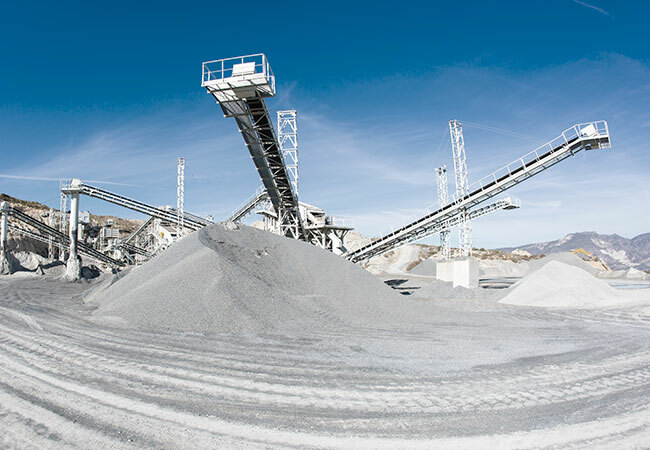 This case study outlines the process followed in the Deswik Software Suite to compare trucked material movements and an alternative strategy of semi-mobile in-pit crushing and conveying. Deswik was awarded the Dermot McManus Award for Leadership and Innovation at the Premier of Queensland’s Export Awards on Thursday 16th October. Deswik partners with RWE to launch the first generation of mine planning tools for CMM applications. Deswik are pleased to announce the provision of Deswik Software for use by Mining Engineering students at UQ. V4.0 brings enhancements across the entire toolset and represents the largest release from Deswik to date. SOT+ case study kicks off at Vale – advancing mine plan optimization.